These Singapore dishes cost up to tenfold – so why should you try them? Want honest food & drink reviews or handy dining & nightlife guides? We have it all. Sign up to receive it. UNWINDING after a hard day’s work is always better with a tipple or three in hand. You’re pretty spoiled for choice if you happen to be based in the CBD, so here’s the first of our many guides profiling promising new entrants and the longest-lived watering holes in the area. Now THAT’S a bookshelf we’d clear out. First timer? You’re going to miss this one if you come too early. A salmon-obsessed Japanese restaurant by day, The Secret Mermaid only makes an appearance when CBD denizens knock off. The bar’s keen focus on American spirits truly sets it apart from other entrants. Have a half-dozen oysters for a song with each serving of bourbon, rye or moonshine – oyster hour’s from 7pm to 10pm everyday and is one of the reasons why regulars throng the rather tight space. We also highly recommend going through the drink flights on subsequent visits. Be ready, too, to snap up the exquisite bottles that owner Howard Lo brings in from time to time – he’s got access to some of the most sought-after and/or innovative distilleries over in the States. The Secret Mermaid, B1-09, Ocean Financial Centre, 10 Collyer Quay, S049315. E-mail: drink@thesecretmermaid.com. Reservations not available from Thursdays and Fridays. The new kid on a very established block is flying under the radar for now, so drop by while you still can. Simply look out for the bright neon sign in The Penny Black on Boat Quay and push past the heavy curtains. Astonishingly well-structured and innovative cocktails, some presented with an elaborate (Instagrammable) serving ritual, pair up with seriously good British-Indian (read: spice-heavy) nosh. The dim but amply-spaced speakeasy is styled after the inside of an Industrial Age warehouse, and does a good job of transporting your party away from the CBD hubbub. Stay tuned for our pre-opening review landing tomorrow. Parked further inland along Telok Ayer Street is Eliza, a newly-opened establishment that serves sharing plates as good as its cocktails. 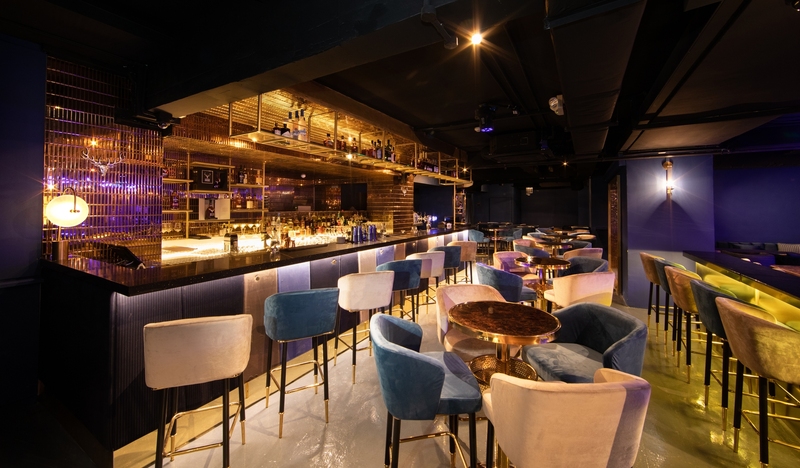 On top of that, the music’s a large draw; it’s either belted out by a remarkably versatile jazz band that juggles between Cantonese, English, Mandarin and even Hokkien hits, or – after midnight – dropped by DJ Aldrin from his dedicated booth overlooking bar and what becomes a dance floor. We delve into the details in our full review. Another “Jekyll and Hyde” bar that operates as a coffee house in the day before spilling the spirits closer to sundown. These guys do their classics right, so stick to those. You’d really be here for the unique ambience. There are heavy curtains thrown over the windows, and the proprietors seem keen to scrimp on the electricity bill. Consequence: an extremely dark setting where the passage of time distends into the alcohol-fuelled haze. Perfect conditions for a long chill-out session, with the right company. Mixology maestro Sam Wong may have left the roost, but the heartfelt libations live on – as does the legendary bar bites that are basically our hawker favourites. Where else can you wolf down char kway teow with XO carrot cake while tipping back a boozy Milo Dinosaur (bourbon, port, egg, copious amounts of Milo)? It’s tucked away in the second storey behind a nondescript Boat Quay shopfront, so be sure to check above every doorway for the elusive sign (gold text on black wood). If you’ve quite tired of cocktails for the week and just want to chug a cold pint while putting away a burger, turn to the reliable masters of brew at Level33 who are constantly refreshing the craft beers. Gourmands aren’t left out; you’ll find both hearty bites and pretty plates at your disposal here. Commanding views of the skyline make for the perfect backdrop to an al fresco chill-out session – though of course, you do pay a premium for such a stunning view. XJ is the associate digital editor and works the F&B, tech, watch and motoring beats. Correspondingly, he's an alcoholic carnivore with a boyish fascination for all things mechanical. No prizes for guessing which Jaguar he wishes to commandeer.